World Architecture Festival – entries open! WAF 2010 will take place in the CCIB in Barcelona from 3-5 November 2010 - now bigger and better, with 5 awards sections, 42 categories, covering 100+ building types. Enter the world’s biggest architecture awards programme today at http://www.worldarchitecturefestival.com/brochure_entry_download.cfm. Quote JMMSP on the registration form and start your entry today. "I think WAF has been very successful, it's given me a chance to make contacts from abroad, but it's not just that, I've met incredible people and I've found it really great." World Architecture Festival has teamed up with the organisers of the Art and Work Awards to introduce a new award aimed at encouraging and celebrating the relationship between art and architecture. Once again every single entry in the WAF awards will be exhibited and all shortlisted entrants will present their work live at the festival. Compete, head to head with fellow architects in front of world class architect judges which include this year include the famous Japanese architect Arata Isozaki leading the Super Jury plus Barry Bergdoll, John Patkau, Matthias Sauerbruch, Stefan Benisch and Kjetil T Thorsen. 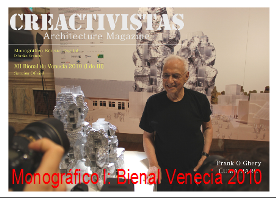 The 2010 World Architecture Festival thematic exhibition will be based on the theme of 'Transformations'. The 2010 theme will relate to the way in which the built environment can be transformed by a combination of client commitment, architectural imagination, technological development and professional teamwork. The exhibition theme will feed into the WAF seminar programme and keynote addresses from leading contemporary architects. WAF 2010 is now accepting entries so visit www.worldarchitecturefestival.com to be part of the most dynamic event in the architectural calendar. Please quote WAFREGEM in all communications with our team. Why should I enter WAF? 1. Compete to win the highly prestigious 'World Building of the Year' and other awards coveted prizes for the very best in class, presented at the WAF closing awards ceremony. Put yourself in the running to win an internationally recognised award. 2. Exhibit alongside the world's leading architects - every entrant will have their work displayed. 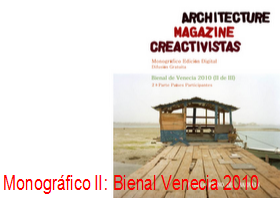 Provides exposure to the very best international architects and architectural media. 3. Benefit from the personal and organisational exposure gained from presenting in front of leading architect judges, as well as extensive international media coverage. Last year's category and overall winners generated, and continue to generate, press coverage all over the world. 5. Present to expert panels - a unique opportunity for critique for over 200 short listed entrants. Selection and preparation of entry offers architects an excellent opportunity to hone essential preparatory skills. P.S. You can save €550 on festival passes during the entry period – one entry plus two tickets costs just €995 – find out more at http://www.worldarchitecturefestival.com.